1999. The program was licensed by the Department of Social Welfare in 2000. 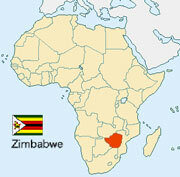 In Zimbabwe alone there are over a million orphans from AIDS. A generation of children growing up without their parents, leaving aged grandparents to try and support 10 or more grandchildren. Many times there are no surviving relatives and that is why Newstart Children’s Home was born. No community is immune to the ravages of AIDS, no village free from its devastating effects. As members of the world community we are not exempt from the responsibilities this human tragedy brings. Spiritually, emotionally, physically, and medically it is one of the deadliest diseases, if not the deadliest, ever to strike the human race. We must see that the story of AIDS is not about epidemiology, economics, or statistics. Rather, it is the story of guilt, pain, fear and neglect. 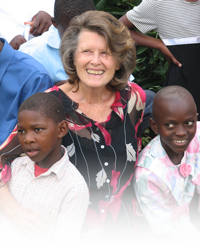 In Africa the extended family has always been strong and has provided for orphan children. Now however, due to the magnitude of the epidemic there is no extended family to provide care. These orphaned children did not ask to be brought into the world only to he completely abandoned, with nowhere to go and no one to turn to. We must be their family. We can give them a chance, a home, and education and the emotional stability to grow up to become leaders in society.